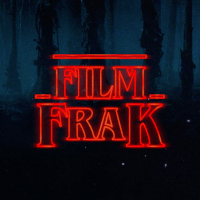 FilmFrak: The Podcast#5: SOME THINGS ARE FANTASTIC! So it is that with the earworm, “Ricky Baker…Ricky Baker…Ricky Baker” refusing to leave our heads that we present you with Podcast #5. Tune in to hear our patented half-finished sentences, rambling nonsensical logic trees and consistently shouty delivery as we ponder the state of modern civilization, libertarianism, the definition of “real world fantasy” and other themes from this month’s new releases. Proving his lack of dedication, yet again Adam has managed to avoid the cinematic gambles and left poor old Jon to slog through the dregs. Among the joys and pains discussed this month are CAPTAIN FANTASTIC, HUNT FOR THE WILDERPEOPLE, STAR TREK BEYOND, HELL OR HIGH WATER, THE INVITATION, LIGHTS OUT, THE INFILTRATOR, BFG, SUICIDE SQUAD, GHOSTBUSTERS, BATMAN: THE KILLING JOKE, SECRET LIFE OF PETS, POPSTAR and MILLION DOLLAR DUCK. On the retro 35mm front there’s also FRIGHT NIGHT, DRUNKEN MASTER 1 & 2, BULLITT, THE GETAWAY, GET CARTER, POINT BLANK and CONAN THE BARBARIAN. As always if you want these frakkers to keep on going, give us a listen and then comment below.